I was looking for information on the Huguenots today when I came across the website of the National Huguenot Society in Texas. 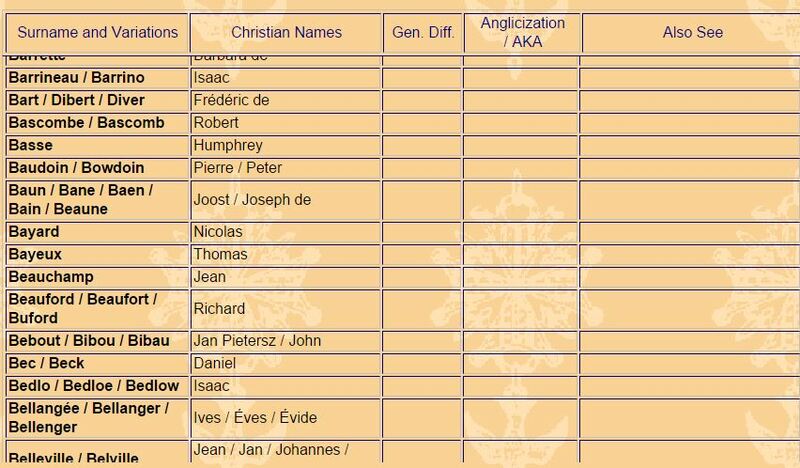 It had a list on it of all verified surnames of Huguenot families. It happens that Jean Beauchamp was on the list. These are names submitted with documentation to prove the ancestry of the applicants for membership in the Society. How very interesting. There is a book published by the society which I will look for in the libraries and or genealogy societies which lists information about the people. That should be fun. This entry was posted in Researching and tagged Jean Beauchamp by Shamwest. Bookmark the permalink.